How Can A ZAQ Diffuser Help You Relax In Your Home? Your home is a pure place, and it should promote peace and tranquility. That is why one of the best ways to receive therapeutic benefits is by diffusing essentials oils in a ZAQ diffuser. When you need to get rid of those unwanted smells in your home, the essential oils can cleanse the air. The therapeutic essential oils do not only work on your nose, but it can also work on your brain. An essential oil diffuser like the ZAQ Noor AromaTherapy Diffuser will disperse the oils into your home. You and your family will be able to breathe in the oils that are stress relievers, tension breakers, and an immune system booster. The essential oils are natural disinfectants that can effectively clear the air. There are several essential oils that can calm you and soothe you, and other oils can be used to invigorate you. The essential oils can help your brain relax and think happy thoughts, like taking nice walks on the beach, the smell of flowers, or a nice walk through the woods and a nature trail. 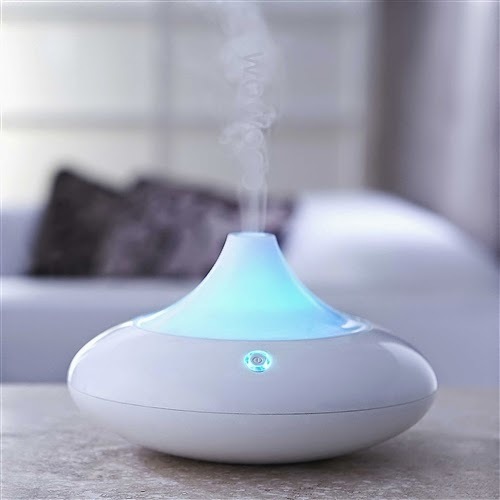 The essential oils in the ZAQ diffuser can also release any kind of pain, tension, and it can also calm your nerves when you are anxious or nervous about something. When your immune system is strong, you will increase your chances of staying healthy. If you do happen to get sick, your immune system can still defend itself. The different germs and different bacteria aren't always the bad guys. Everyone will have certain amounts of bacteria on our bodies our inside our bodies. In fact, without some of the bacteria we can't survive. Typically, any kind of essential oil can help with your immune system. Your brain's wires are designed to respond to different smells. Everyone is not going to believe everything they hear or read about aromatherapy and essential oils. You may not believe the benefits and advantages of its powers, but once you try it you will believe it. Are you ready to try a ZAQ diffuser? Contact us so you can get the ZAQ diffuser that will change the feel of your home.